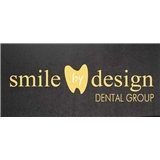 Smile By Design (Irvine) - Book Appointment Online! At Smile Design Dental Group, Dr. Michael Choi and his team of Implant and Cosmetic Dental Professionals deliver excellent results for patients in Orange County and Irvine. Dr. Choi is a UCLA and Loma Linda University trained Prosthodontist, specializing in dental implants, veneers, and Invisalign.